I don't ever watch television (we have no digital decoding box, the TV is for DVDs) and I can't waste the time to watch this performance on the internet. There are two truisms I love. First: How can you tell when a politician is lying? You see their lips move. Equally good: Any semblance of television documentaries to real life is purely accidental. For a lesson in how to stack a real study against low carb this Oxford group beats any television entertainment hands down. Also, if you ignore the crap from the researchers, there are lots of interesting (pro LC) data in this study, especially the myocardial energetics and body composition. What they found, and which made the tittle of the paper, was the gem that LCHF eating "impairs cardiac high-energy phosphate metabolism". Baaaad? What I really liked was that despite "9% lower cardiac PCr/ATP (P< 0.01)" there was "no change in cardiac function". Ketones. 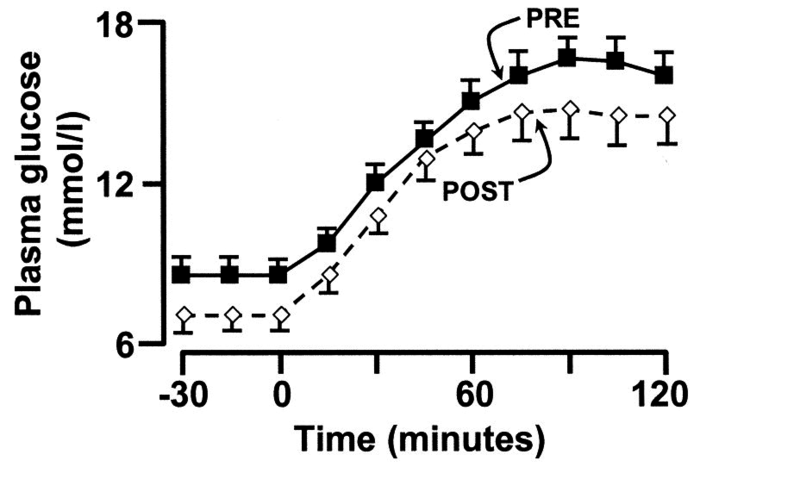 Ketones allow normal cardiac function at reduced PCr/ATP levels. Ketones (from Veech's work) bypass insulin resistance, be that pathological as in Alzheimers or physiological as in very LCHF eating. 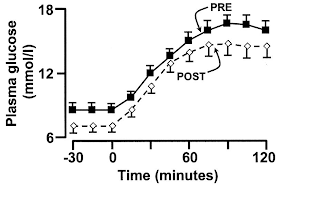 Cardiac muscle functions well at reduced ATP levels, provided ketones are available. Feeling like crap in the early stages of ketosis (Atkins Flu™) is common, it's usually at its absolute worst at about a week in to ketogenic eating. This group clearly knew how to time their cognitive testing! They have more of an agenda than I do. Both the study and the TV drama have the potential to injure people who need ketogenic eating, I guess the TV show more so than the Oxford study, because it is more likely to stop grass roots level defections from Weight Watchers to genuinely healthy fat-based eating. 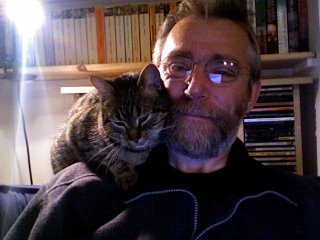 Sid has recently put these two excellent links up on her Facebook timeline. The Protons thread is slowly working its way towards probable causes of complex I failure and an awful lot of the basic mitochondrial information comes from papers on Parkinsons disease or Alzheimers disease. It has been clear for some time that many, many mitochondrial problems, when localised in specific sets of neurons, are categorised as psychiatric illnesses without needing to have a full blown genetic mitochondrial disease at their core. Acquired mitochondrial dysfunction, most likely at complex I, might well be all you need. Have the right SNPs in genes for proteins of the ETC or assorted ion channels might allow you to be allocated schizophrenia, bipolar disorder or major depression as your pigeonhole. Trying to treating mitochondrial psychosis by tinkering with the superficial knock on effects at the neurotransmitter level will be of limited effectiveness. Altering bioenergetics using an NAD+ precursor or by inducing ketosis might be far more logical approaches. Nicotinamide, NAD(P)(H), and Methyl-Group Homeostasis Evolved and Became a Determinant of Ageing Diseases: Hypotheses and Lessons from Pellagra. The second paper is a rather broad brushed picture of evolution, society and NADH. Gross NAD deficiency with adequate calories (pellagra) will mean that there is almost no time for NAD+ to exist before being reconverted to NADH. The high NADH/NAD+ ratio will particularly favour excess superoxide generation at complex I if there is any reverse electron flow from the CoQ couple. It's a pity this paper does't have mtG3Pdh in its diagram of the ETC. An interesting read even if it's full of concepts which the Hyperlipid perspective might question or might invert the causality there-of. EDIT: I found this one myself and nearly lost it. The perils of PubMed-ing in your lunch break at work and not emailing the link to yourself! 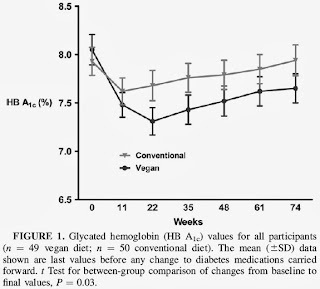 Which makes low fat veganism look pretty good, just so long as you limit your study to 12 weeks. How a bout a macrobiotic diet? Very low fat, low protein, LOADS of fibre and complex grain based carbs. Take some diabetics, measure some numbers, feed for three weeks by skilled macrobiotic cooks while teaching macrobiotic cookery, re test at twelve weeks after self preparing food at home for the last nine of those weeks. 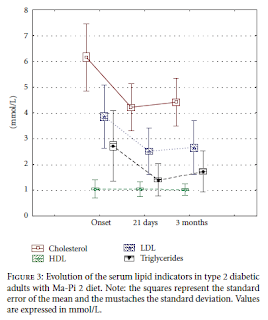 We don't get HbA1cs in this study but we have the fasting glucose levels, the 2h post prandial levels, the lipid levels and I quite like the blood pressure levels. Blood pressures pre intervention 127/76, 3 weeks 113/69, 12 weeks, ohoh, 118/75. Of course you could always claim that these folks weren't doing the macrobiotic diet correctly at home. 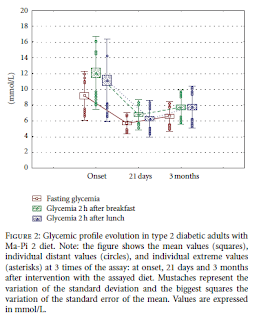 Me, I think they are metabolically broken and, even before they stop losing weight, they show their broken metabolism by their climbing post prandial (and fasting) glycaemia. By 74 weeks they will be worse off than Barnards failures. There is no answer for diabetics other than LCHF. "Yes I would like to comment. Please put your keyboard into a potato sack and throw it into the sewer"
BTW, if anyone can reconcile Fig 1 and the red line in Fig 2, congratulations! 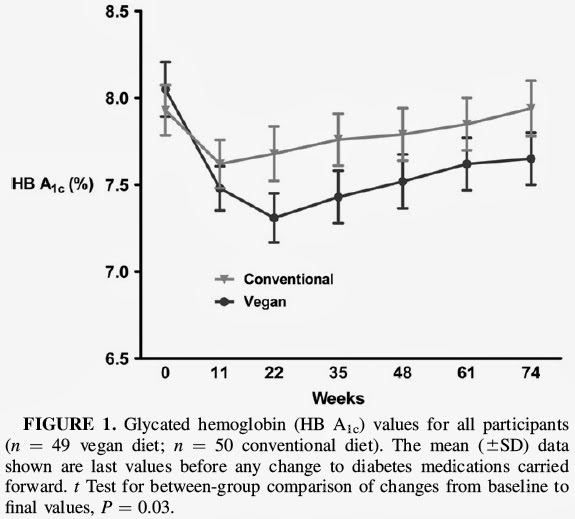 Impaired glucose tolerance in low-carbohydrate diet: maybe only a physiological state. Like, like, like, like, like, like, like, like, like, LIKE! I just wanted to put up a brief mention of this paper on acipimox. Acipimox is an inhibitor of lipolysis. It's essentially useless as a therapy for anything, partly because it is derived from an incorrect paradigm but mostly because it's impossible to get it to work for any extended period of time. It's good for a week though. So let's take a few diabetics, do some lab work on them, drop their FFAs using acipimox, then repeat their lab work a week later. 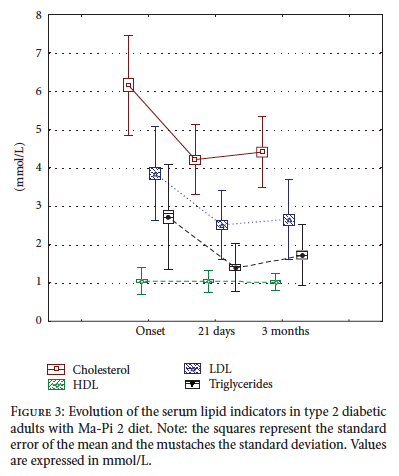 Fasting FFAs drop from 563 micromol/l (not actually very high) to 230 micromol/l (verging on pathologically low) and FBG drops from 8.5mmol/l to 7.0mmol/l. All highly significant, statistically. Does this mean that they are fixed, i.e. they can go out and eat pizza all day and be normoglycaemic? A diabetic person who drinks 75g of glucose in water will hit a 2h blood glucose of about 16mmol/l. With markedly reduced FFAs they will be graced with a 2h blood glucose of a mere 14mmol/l, which does not look like dropping. They're f*cked, metabolically. Last time I did this (2008ish??) my 2h BG was 3.4mmol/l. It looks to me as if acipimox removes the normal physiological uncoupling associated with abnormally elevated FFAs and leaves the insulin resistance of a broken set of mitochondria there for all to see. There is physiological insulin resistance associated with elevated FFAs. Then there is pathological insulin resistance from mitochondrial dysfunction. So far I've been thinking about insulin resistance as a normal physiological process for regulating the energy input in to each cell, on an individual metabolic needs basis. There is nothing pathological about this process, regulation is essential. To develop insulin resistance in the immediate aftermath of a single 2000kcal meal or during a 5 day fast is exactly what you need to do. 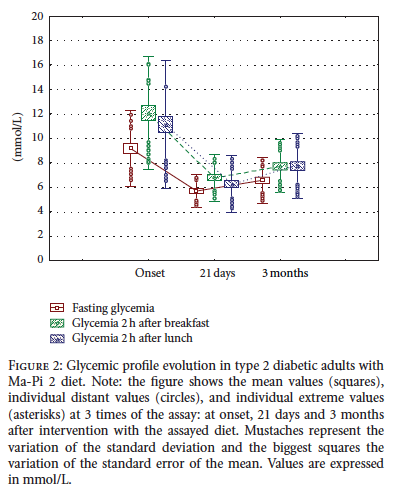 Combining the post prandial state with the fasting state is pathological but could be corrected by simply restoring insulin sensitivity to adipocytes, so allowing them to lower free fatty acids when glucose is elevated. There are times when I would like there to be differing terms for the insulin resistance of the immediate post prandial period, of starvation and of metabolic broken-ness. It would make for a much clearer picture than saying someone is "insulin resistant". Now I'd like to think about some pathology. Oxygen consumption is depressed, delta psi is depressed and NADH accumulates at the expense of lowered NAD+ levels. 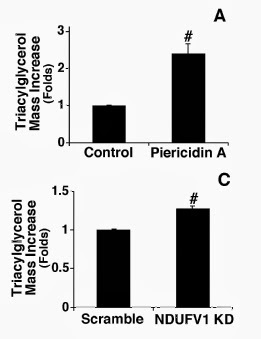 BTW, some authors use the NADH/NAD+ ratio, some the inverse. Ah well, it's still badness. These folks talk about "reductive stress". The interesting point to note from section D is the rise in acetyl-carnitine, a molecule used to export acetyl-CoA from mitochondria to cytoplasm. If we block the ability of the mitochondria to feed NADH in to the ETC there is no point in turning the TCA because this generates four NADHs for that single FADH2 from succinate dehydrogenase (which still works if you provide succinate exogenously). Instead the acetyl-CoA is exported as acetyl-carninitine or as citrate after combination with oxaloacetate. Once in to the cytoplasm acetyl-CoA is available for de novo lipogenesis. Does it get used for this? You get the same effect in people with the misfortune to be born with severe defects in complex I; in the affected tissues there is lipid accumulation. By the time you get down to <5% complex one activity there are quite nasty knock on effects on fatty acid oxidation and cell viability, but that's another story. 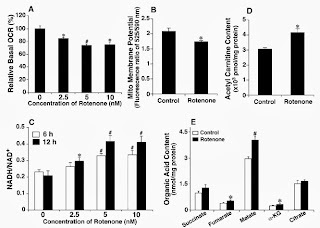 Very few people would choose to take rotenone nowadays but there are a number of other complex I inhibitors, some of which are quite widely available. Flunarizine, isoniazid and atrazine spring to mind with bisphenyl A as a more general mitochondrial toxin which includes complex I blockade. None are marketed as weight loss supplements. I see this as a generic mechanism. Complex I dysfunction leads to intracellular lipid accumulation. 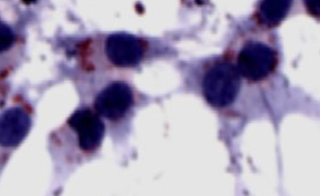 These cells are being fed with low levels of glucose without insulin. Glucose uptake will be basal and much of the energy from glycolysis will be diverted to lipogenesis. Again, if ox phos is reduced mitochondrial ATP production will be depressed and glycolysis will be the main source of ATP using substrate level phosphorylation. We know lipogenesis is occurring, so we must be deriving NADPH from glycolysis. 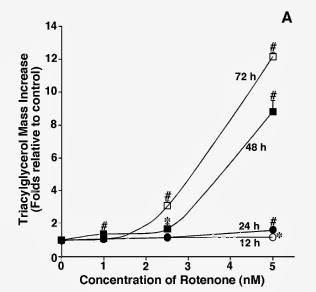 If we were to add insulin to the culture medium of a rotenone poisoned cell and perhaps increase the glucose level to 25mmol/l, what would happen? Assuming we can generate enough of a delta psi to allow insulin signalling we would pour glucose in to the cell and down through glycolysis to pyruvate. This gives us a ton of acetyl-CoA in the mitochondria. Complex I is still blocked. What's a cell to do except de novo lipogenesis in its cytoplasm? As we allow glucose in to a cell, we push de novo lipogenesis. This is a parody of insulin sensitivity. The faster we allow glucose in to a cell, the faster it is lost to lipid. My line of thought is about how well this ability to sequester glucose as lipid might give the impression of being extremely sensitive to insulin, when the actual mitochondria are dysfunctional and should be signalling insulin resistance. I can't get away from the unarguable fact that post-obese women perform enough DNL to get their RQ > 1.0 on exposure to 75g of glucose in an OGTT. Perhaps we need to look at the mitochondrial function of people who's "preferred" metabolic state is best achieved by obesity. 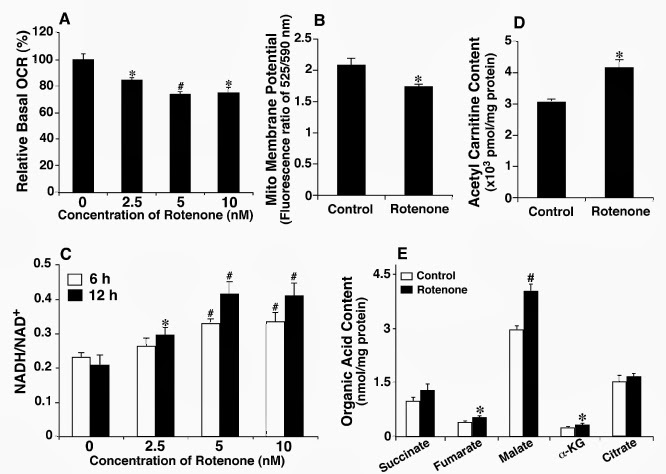 And how we might damage complex I without mainlining rotenone. Better hit "post" as things keep getting in the way of extending this particular entry.